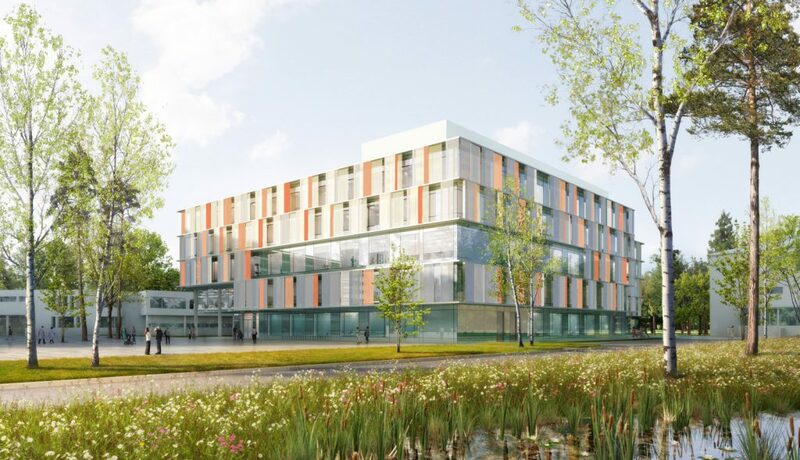 A new Parent-Child Centre that brings the disciplines of paediatrics and obstetrics together under one roof is being developed on the Venusberg campus in Bonn. The new ensemble provides an appropriate urban development prelude to the campus. 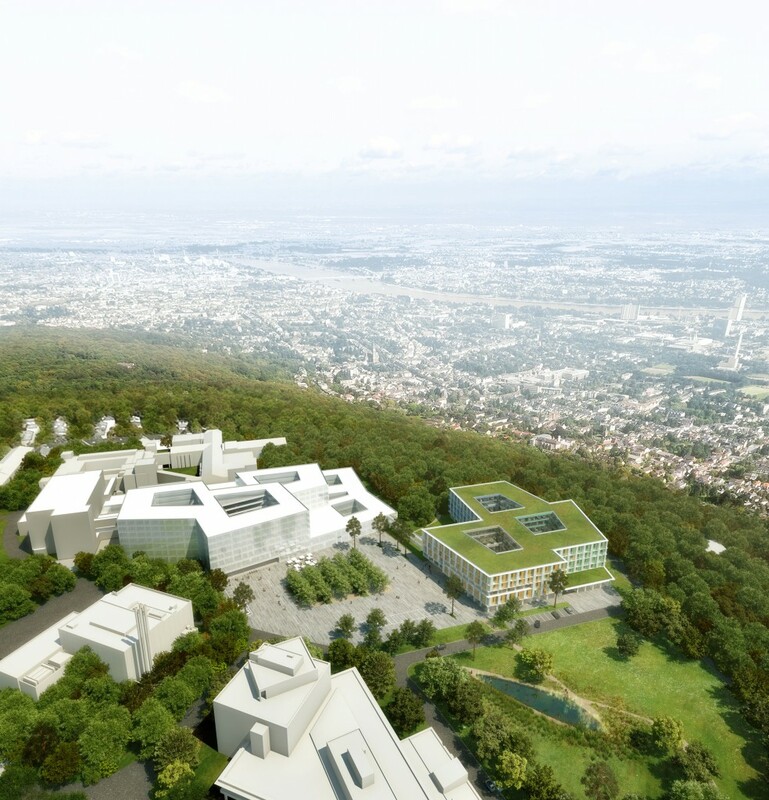 A landscaped plaza with seating areas, a canopy of trees and a panoramic view of the greenery on Venusberg hill forms the new centre of the area, while also marking the entrances to the new buildings. The buildings, with their own contemporary architectural vocabulary, mediate between the diversity of buildings on the University Hospital campus and the Venusberg’s natural environment. The structures are aligned with the variety of building typologies and multi-layered topography of the terrain. The relaxed overall shape, which is composed of smaller cubes, conforms to the edge of the hillside. It resembles an organic structure and, with its “blunt corners”, creates a gentle edge to the space, supporting the impression of a flowing transition to the green surroundings. The line of sight from the campus entrance to the green space was intentionally kept open. To make the experience of the surrounding green space part of everyday life for patients and visitors alike, the nursing wards on the upper floors are arranged to give every room an unobstructed view of the surrounding landscape. Footpaths between the new central plaza at the hospital park and adjacent woodlands are an invitation to go for a walk. 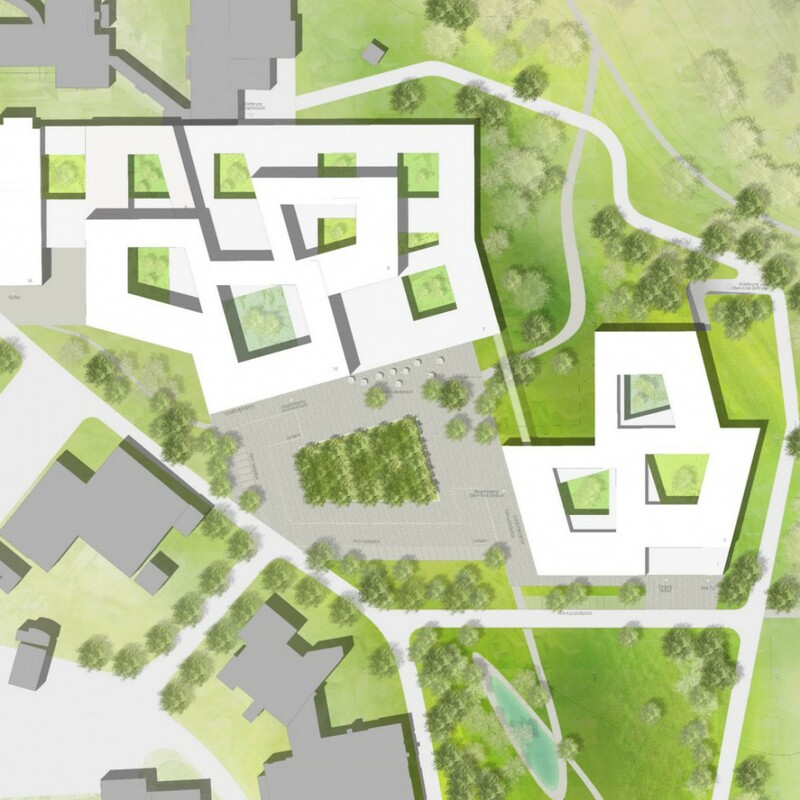 The two new buildings will be constructed in two phases. The Parent-Child Centre is built in the first phase, followed by the central hospital in a second phase.